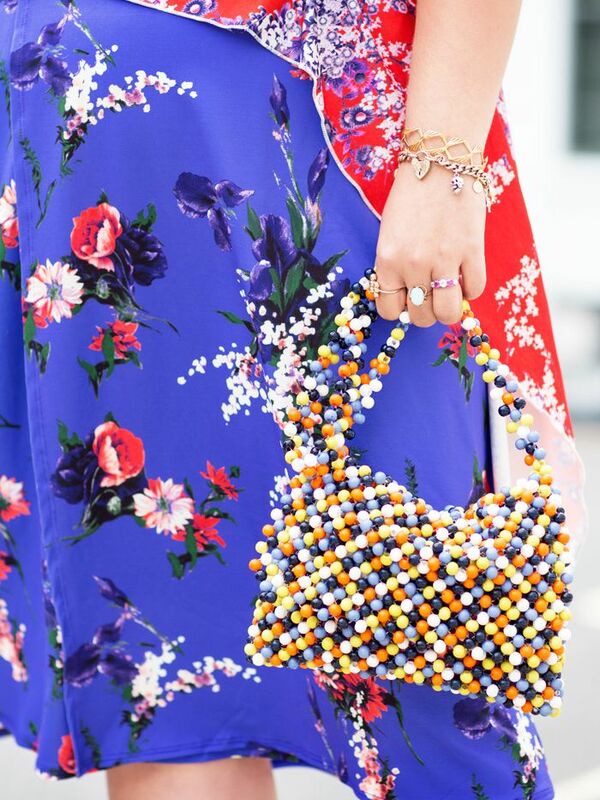 Style Notes: Colorful beaded bags might just be the most unexpected accessory trend of the season. So what's the appeal? These cherry rainbow styles are perfect for pairing with summery separates, but most importantly, they are fun to wear, as some Susan Alexandra iterations even come with teeny-tiny strawberries on the front. Style Notes: If anyone's going to tempt us to invest in one more basket bag, it's Jeanne Damas. Choose a supersize shopper to wear on the shoulder or keep it chic with something mid-size—your summer wardrobe needs this. Style Notes: If you've mastered the art of packing light, you'll already know teeny-tiny bags are a total game changer. Sound dramatic? The good news is that compact styles are set to stay, so many of our favorite brands are releasing super-cute iterations so we can get in on the trend. Style Notes: Swap your trusty clutch for something silky, embellished, or covered in pearls that comes complete with a drawstring handle—the pouch is your new party essential. Style Notes: If you're looking for something simple, stylish, and timeless, head straight for Staud and pick up the Bissett bag. Style it with classic white shirts, chino trousers, and straight-cut denim.